This is an overview of Trihedral’s airport solutions developed using VTScada, their commercially available off-the-shelf (COTS) monitoring and control software. 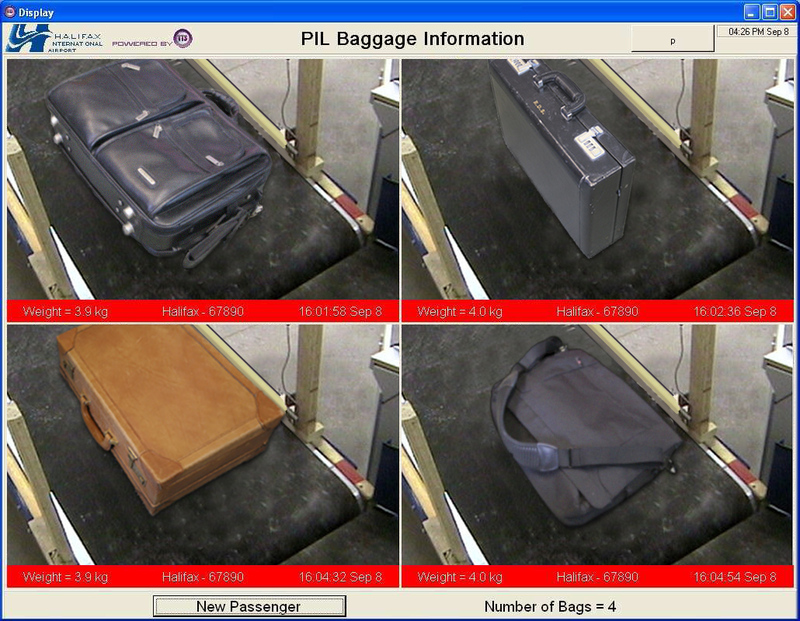 Trihedral’s Baggage Image Weight Identification System (BIWIS) is used by US Customs and Border Protection (USCBP) officials at pre-clearance facilities at foreign airports to help make informed decisions about airline passengers entering the United States. The system includes direct high-speed interfaces to security cameras and weight scales that collect baggage information of passengers traveling through the airport on their way to US destinations. 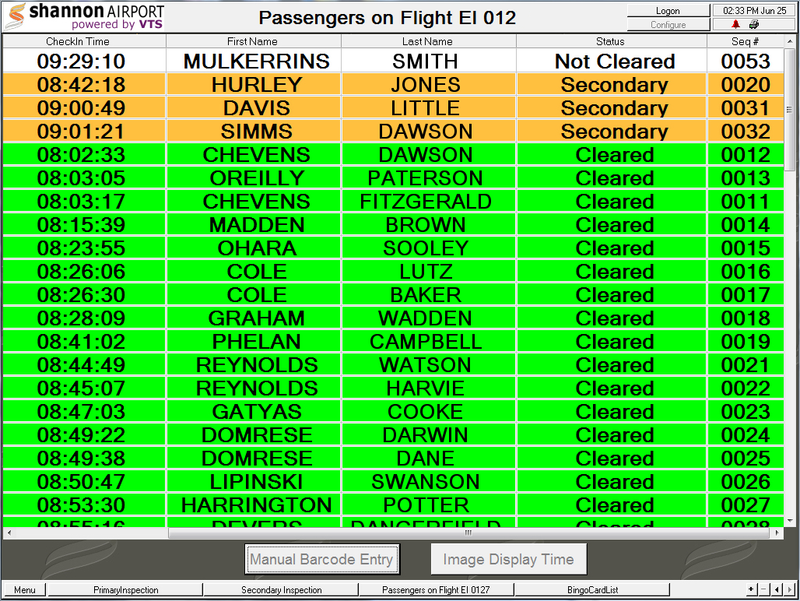 It displays summarized information for US agents at primary inspection points to help them determine which passengers are candidates for secondary inspections. Like all VTScada-based applications, this system supports full-system redundancy, automatic failover, and online configuration. The open architecture of VTScada also allows for seamless integration with baggage conveyance control systems. Systems have been designed with as few as two client interfaces and as many as 60. The architecture upon which these systems rely can be easily expanded to support direct interfaces with baggage handling systems and other airport data management systems. The VTScada BIWIS system was accepted for use by US customs agents after demonstrating compliance with the stringent performance and privacy standards set out by U.S. Customs and Border Protection. The end result is increased security and a smoother and more efficient traveling experience for passengers. 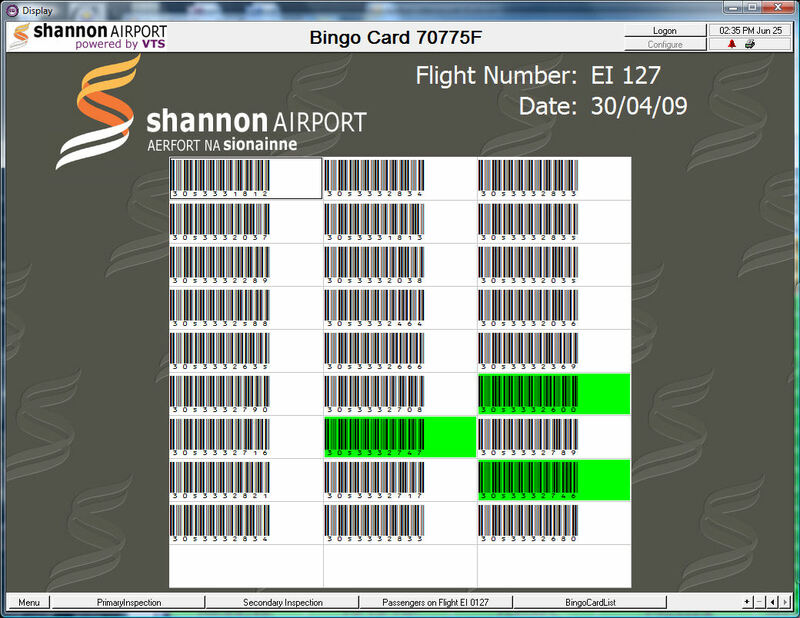 The system erases baggage data automatically according to a set schedule. Configuration changes can only be made by authorized system administrators with valid user accounts and passwords. Six regional VTScada applications located at Vancouver, Winnipeg, Toronto, Montreal, Moncton, and Gander. A technical training application in Kingston. 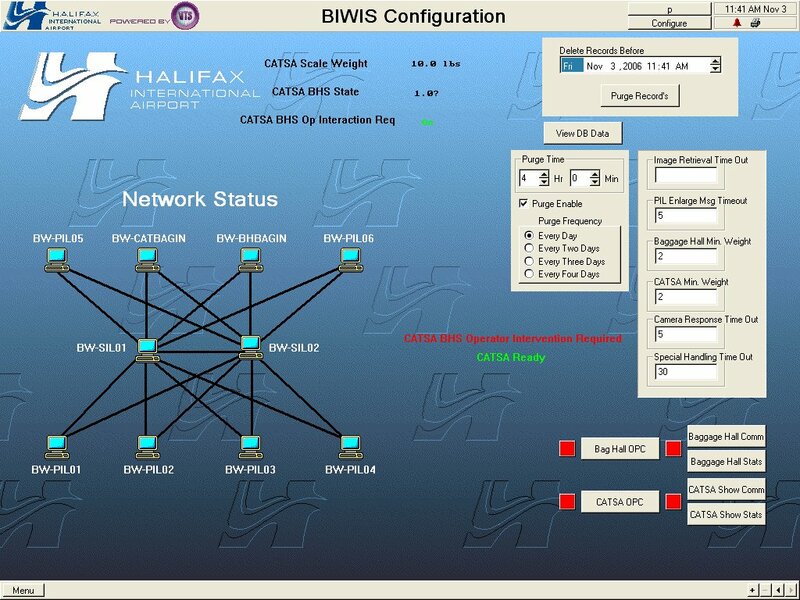 A centralized configuration admin application at the Ottawa Tech center. A centralized data collections and storage application, located at NAVCanada’s National office. The regional systems interface with Staticraft ILS and runway lighting systems, radar systems, UPS and genset controllers, Monco runway glidepath and guidance systems, and Marconi VOR systems. These regional interfaces are primarily used for health and alarm management rather than control. In addition to displaying system alarms, alarms are disseminated via NAV Canada’s internal paging system. All applications are autonomous but maintain connectivity for data transfer. Each regional system consists of two redundant application servers, two I/O servers and three workstations. Network availability and traffic are monitored using the VTScada SNMP driver. To maintain consistency across all of these applications, each of the systems is built upon a standardized software toolset layer, including customized communications drivers, graphics, functions and other elements. This toolset is maintained and expanded by Trihedral. Updates are sent to NAV Canada for testing and deployment across its regional centers. The Air Traffic Control SCADA system integrates with Nav Canada’s national Maximo installation, initiating work order requests via Web Services. VTScada stores corresponding work order numbers, which are used by operational staff to launch the Maximo client interface. 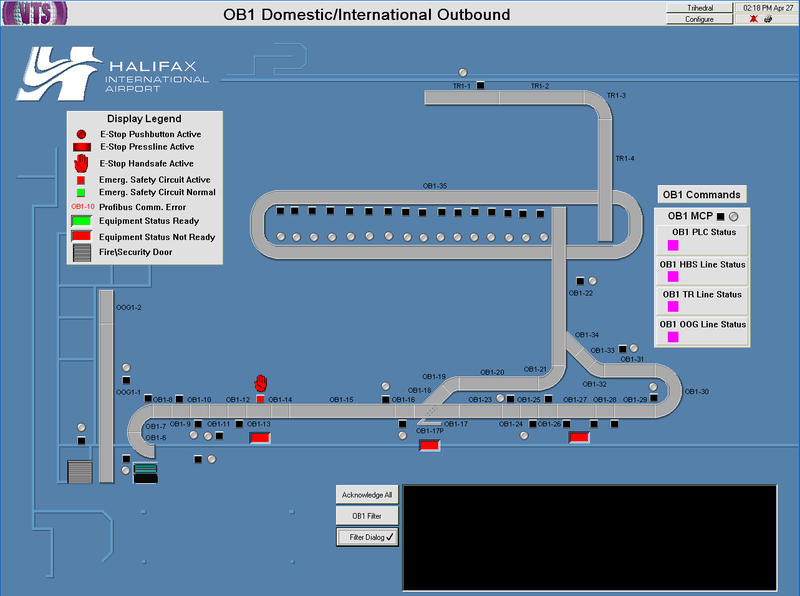 Halifax, Nova Scotia, CanadaTrihedral developed and installed a centralized Baggage Handling System for the Halifax International Airport Authority, providing monitoring of the airport’s domestic and international baggage handling systems. The system includes fully redundant server/client computer architecture with data storage to ODBC-compliant databases for external reporting software access. Networked clients utilize the VTScada Internet Client, which is a full-functional ActiveX control available as part of the VTScada software suite. The system monitors 1600+ values from conveyor, diverter/pusher, fire and security door, and X-ray equipment. PLCs communications are via Siemens S7-400 series and Allen Bradley 5 series and SLC series PLCs. All control device connectivity was made redundant by converting serial PLC connectivity to Ethernet. 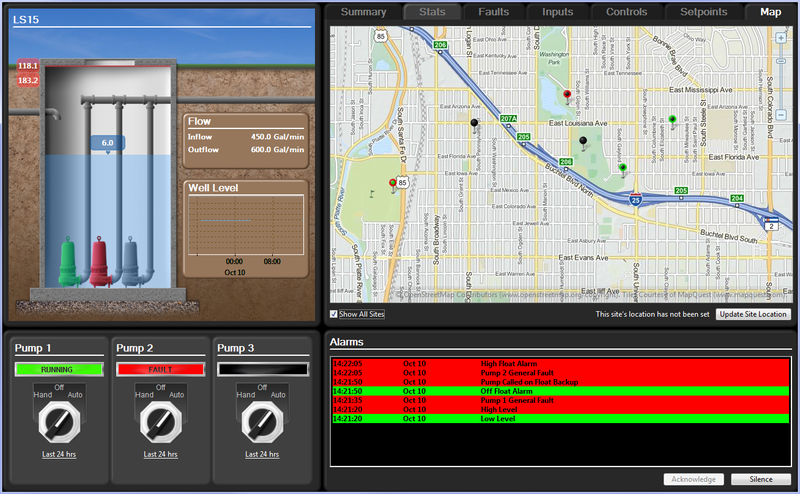 The application is configured to display various components of the system on 17 display screens. Screens are arranged in menus with sub-trees for clarity. Additionally, buttons along the lower section of the screen provide single-click access to frequently used screens. Alarms and events are automatically colour coded to match predefined levels of priority (i.e. red = critical alarm, orange = high alarm). The colour of each alarm/event is recorded in an alarm/event history list. A dynamically updated alarm list is placed at the bottom of all screens. Additionally, a full screen alarms list allows filtering by priority, sorting by time or area (i.e. sub-system), acknowledging, silencing, muting and printing of alarms. Authorized users can use the VTScada Reports Page to generate reports of alarms and event lists. They can also print screen shots from any SCADA server or Internet client computer running the application. VTScada used a unified security system across all servers, clients, and Internet clients. Security is privilege based, allowing each user’s account to be ‘tuned’ to his/her specific needs. Security changes are network wide and immediate, extending to all clients and Intranet clients. Additionally, Intranet client activity can be monitored closely, allowing administrators to remotely disconnect users as necessary or to send messages to users, informing of planned network service interruption or pending disconnections. User profile data will be stored in VTScada’s encrypted security manager database.